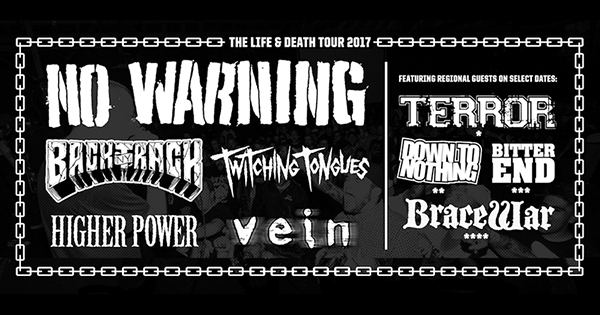 No Warning, Backtrack, and Twitching Tongues will team up with Higher Power and Vein for the 2017 installment of the "Life & Death Tour." Additionally, regional support will be provided by Terror, Down To Nothing, Bitter End, and Bracewar. Dates are as follows.